Three exhibitions in three countries ! June see's the culmination of what will have been a 4-year project to paint the Manchester city skyline from the top of its largest buildings. All of the work is completed new, in that it will not have been exhibited before. 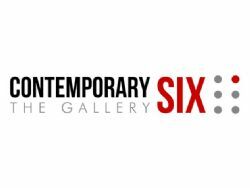 I've been looking for a gallery who would take a leap of faith and let me present the complete body of work in its entirety at least once and I'm grateful to Contemporary Six for their confidence in the project. I would also wish to acknowledge Bruntwood plc and The Manchester Hilton Hotel for their support without whom, it would not have been possible.